Design and Implementation of Small/Large Scale Aquifier Characterization Tests. 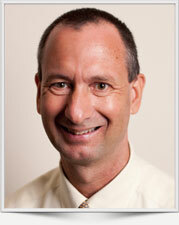 Jim Breza has 29 years of experience as a geologist and environmental consultant. He has extensive experience in a variety of environmental regulatory compliance settings, including permitting and remedial investigation activities associated with projects throughout the United States, Europe, and South America. Jim has demonstrated the ability to work on and manage multiple fast-paced tasks with numerous deadlines, and produce high-quality work under tight schedules. He understands and practices sound business principles, including managing budgets and schedules. He is self-motivated and works independently, has strong initiative, is detail oriented and resourceful, and has good communication skills. He has experience in business development, client management, portfolio management, project team management, technical report writing, and proposal preparation. Groundwater flow and solute transport modeling. Course work towards MS in Marine Geology, Florida State University. OSHA Level B Equipment Use. Environmental – Jim Breza is presently managing a portfolio of chemical distribution facilities worth $24M. The portfolio contains 11 facilities located in nine states: Florida, Illinois, North Carolina, Minnesota, New Jersey, Ohio (two sites), Pennsylvania, Tennessee, and Texas (two sites). Jim is responsible for coordinating all project activities associated with the portfolio. Management of the portfolio also includes coordination of budgets and activities under the terms of an environmental insurance policy purchased by the client. The goal for the portfolio projects is to achieve regulatory closure within the scope and limits of the environmental insurance policy (closed sites with soil and groundwater impacts). The key objective of the portfolio management structure is to provide the client a single point of contact. Phosphate – Mr. Breza worked four years in the phosphate mining industry for Occidental Chemical Company (OXY) (1979-1981 and 1987-1988). Prior to his professional career as a geologist, he worked in the chemical plant as ball mill operator. He then worked for two years after college as a mines geologist. Mr. Breza was the production geologist for OXY, responsible for inspecting the phosphate deposits in five continuously operating pebble phosphate mines. His experience with the mining company encompasses mine pit inspections to evaluate dragline mining efficiency, geologic and economic ore mapping, predicting ore body behavior and characteristics, exploration, and core description and sampling. He supervised drilling crews and assisted the chief geologist in planning drilling objectives and logistics to delineate economic ore horizons in the North Florida phosphate district. While with OXY, Mr. Breza supervised more than 400 drilling operations and logged over 38,000 feet of sediment. Kaolinite – Conducted due diligence assessments of four kaolinite processing facilities and seven kaolinite mines in east central Georgia (2010). Performed a Phase I investigation and limited compliance audit of each facility in support of a proposed property transaction. The compliance audits included an evaluation of compliance with applicable United States Environmental Protection Agency and Georgia Division of Environmental Protection regulations regarding hazardous waste management, water quality, and water use. Carteret, NJ – Remedial Investigation (2011 – ongoing). Task leader for soil and groundwater investigation (unconsolidated and bedrock geology), which consisted of 96 soil borings drilled in unconsolidated material, bedrock coring, bedrock borehole packer testing to evaluate bedrock transmissive zones, bedrock borehole geophysics logging, long-duration hydraulic monitoring, bedrock aquifer characterization tests, and comprehensive groundwater monitoring program. Port Tampa, FL – Remedial Investigation and Remediation (2001 – ongoing). Project manager for site investigation and remediation program consisting of membrane interface probe (MIP) investigation to delineate extent of non-aqueous phase liquid (LNAPL), soil gas survey to delineate extent of chlorobenzene in groundwater, and an aggressive site remediation program consisting of in-situ chemical oxidation (injected 96,000 gallons of chemical oxidation agent) and excavation of 14,200 tons of impacted soil that was disposed of off-site to permitted facility. Smithfield, RI, Superfund Site – Remedial Investigation (2011 – ongoing). Geologist responsible for geologic and hydrologic data analyses and site hydrogeologic conceptualization. Evaluated borehole geophysics to determine hydraulic transmissive zone for placement of bedrock monitoring wells; evaluated long-duration hydraulic data to assess the variance in the groundwater gradient within the bedrock aquifer to better understand how vertical mass transfers may be affecting the chemical concentration observed in the bedrock groundwater and the role that vertical mass transfers might be having on concentration trends. Cut Bank, MT, Superfund Site – Remedial Investigation (2010 – ongoing). Task leader responsible for geologic and hydrologic data analyses and site conceptualization. Evaluated existing site data such as boring logs, groundwater chemistry, borehole geophysics logs, and regional and local geologic and hydrogeologic literature to develop site conceptual model and evaluate hydraulic interactions between three unique water-bearing zones in a bedrock environment (sandstone and shale geologic formations). Brazil – Foundry Product Facility Environmental Investigation (2005 – 2011). Project manager for large-scale environmental assessment and remediation of soil and groundwater in an active chemical manufacturing plant located in Campinas, Brazil. Remediation consisted of excavation of an unpermitted landfill and installation and operation of a groundwater extraction system, oxygen injection system, and soil vapor extraction (SVE) system. Brazil – Facility Environmental Investigation (2008). Project manager for environmental assessment of soil and groundwater in an active chemical manufacturing plant located in Aracariguama, São Paulo, Brazil. Mexico – Water Resource Study (2004). Project manager for a large-scale aquifer characterization study to evaluate the adequacy of the groundwater resource for the Valladolid Power Plant operational needs. Turkey – B.V. Blue Stream Project, Mass Gravity Flow Study – Russia to Turkey Submarine Pipeline across the Black Sea (1998). Task leader for analysis of results of an extensive seismic survey and core study conducted along the pipeline route. The Black Sea submarine pipelines are 24-inch diameter. The proposed route was from Djudba, Russia to a landfall east of Samsun, Turkey, a length of approximately 240 miles with a maximum water depth of 7,050 feet. Venezuela – Lake Maracaibo Environmental Baseline Study (1997). Designed and conducted an environmental baseline study in Lake Maracaibo to establish the environmental conditions of an oil concession block. Venezuela – Environmental Audit (1997). Project manager for an environmental audit of 285 wells and 13 production facilities in the Caracoles block, El Tiger, Venezuela. Azerbaijan – Environmental Baseline Study of the Caspian Sea (1995). Task leader for the offshore data collection design and cruise planning for the Azerbaijan International Oil Company (AIOC) project. Azerbaijan – Onshore Environmental Assessment (1995). Task leader for assessment of proposed Azerbaijan International Oil Company oil platform reconstruction site located 15 miles southwest of Baku. Jim has provided significant technical assistance and managed a number of numerical modeling projects for clients in the United States. Relevant experience includes the following projects, for which Jim served as task leader for the modeling effort, in addition to coordinating resources and providing technical peer review of work products. Wellsville, NY, Superfund Site – Numerical Flow Modeling and Hydrological Data Analysis (2008 – ongoing). Project consists of development of site and regional hydrogeologic conceptual model to simulate the pumping of a 3,000-ft long recovery trench. The project also involves evaluation of field data and comparison to various model simulations to assess optimal pumping rates to prevent impacted groundwater from discharging into the Genesee River. Martha, KY – Hydrogeologic Framework and Conceptual Hydrologic Flow Model (2006 – 2010). Developed site conceptualization of the former 7,300-acre Martha Main oil production facility located in eastern Kentucky. Reviewed over 1,800 oil well logs to develop site and regional hydrogeologic model. Developed numerical transport model to assess the density-dependent transport of saline water, using the following flow and transport models: USGS MODFLOW, MODPATH and USGS SEAWAT-2000. Carteret, NJ – Numerical Flow Modeling (2002). Project consisted of developing site and regional hydrogeologic conceptual models and evaluation of historical groundwater impacts from chlorinated compounds. Model was designed to simulate on-site groundwater remediation system (extraction wells and recovery trench). Generated virtual 3-dimensional VRML hydrogeological model showing subsurface setting. Various Sites – Orlando, FL; Tampa, FL; Miami, FL; Lansing, MI; Losantiville, OH; Akron, OH – Numerical Flow and Transport Modeling. Project manager and task leader for modeling efforts. Coordinated resources and provided technical peer review of work product. Projects consisted of hydrologic data analysis; development of site conceptual hydrogeologic model, and groundwater numerical modeling (fate and transport modeling was included for most project sites).